Nebraska cattlemen are putting their money where their mouth is. And school kids are putting locally-raised hamburgers in theirs. Several ranchers in the cornhusker state have donated live critters to be processed and then prepared and served in local school lunch programs. While others are promoting meatless Mondays and some state and national organizations urge a reduction in red meat on school lunch menus, dieticians tout the health benefits of beef and ranching families are living proof. Perhaps one of the first in Nebraska to initiate the idea of serving locally grown beef in local school lunches was Chuck Lambert, school superintendent in Bridgeport, Nebraska. He approached then president of the local Nebraska Cattlemen’s affiliate, Naomi Loomis, and asked if the cattlemen would donate beef to be served in the school lunch program. He met with not only the local cattlemen’s group but also with the sale committee of the local Ag Society to seek donations from the youth premium auction. 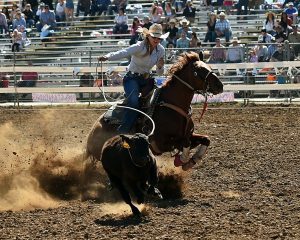 Mrs. Loomis and other officers of the Bridgeport Cattlemen’s group started contacting cattlemen in the summer of 2014 in the Bridgeport area and the results were overwhelming. Immediately four head cattle were donated and within six months nine head of cattle – cull cows, bulls, and finished steers were committed. The cattle had to be slaughtered in a federally-inspected plant. Fortunately KDK Meats, a federally-inspected plant, is located close to Bridgeport and could provie the custom slaughtering. The school system agreed to finance the cost of processing through grants and donations from individuals or businesses. Local organizations such as Toastmasters, Lions Club and the Booster Club also jumped on the bandwagon – contributing to the cost of processing. A large part of the donated meat was processed to ground beef. The school cafeterias offer several beef items such as beefy nachos, beefy spaghetti, beefy enchiladas and chicken fried steak. The Bridgeport cafeteria serves beef at least two times per week. This past year, 16 beef were donated to the program. Lambert said he has observed that more students are eating at the cafeteria especially during the days when the local beef is served. Nebraska ranchers were already supporting education. Over 60 percent of Nebraska’s relatively high property taxes are used to support the local school system. Still, when it comes to educating the youth and promoting beef this community goes the extra mile. The idea has now spread across the state. In prime cattle feeding county, Dawson County, Nebraska the producers and community leaders have provided a similar program. The Dawson County Cattlemen and Dawson County Farm Bureau they provide beef to all Dawson County Schools during the first week of May – “Beef Month.” In this case Tyson Fresh Foods who has a major packing plant in Dawson County at Lexington donated 1,200 pounds of beef roasts and the organizations delivered beef to seven schools in Dawson County where the beef served 4,800 students. More recently the Thayer Central Community Schools organized the Titan Beef Boosters program. In this case local producer Rob Marsh garnered support for the program so local beef could be served in local schools. Currently they have a commitment from over 100 cattlemen, businessmen and individuals with the goal of serving local beef every 10 days. The Titan Beef Group is making an extra effort to not only provide quality locally grown beef but also to educate youth about the production of beef and link between the producers and the consumers. They have implemented a new FFA curriculum to educate students on the relationship of nutrition and agriculture. 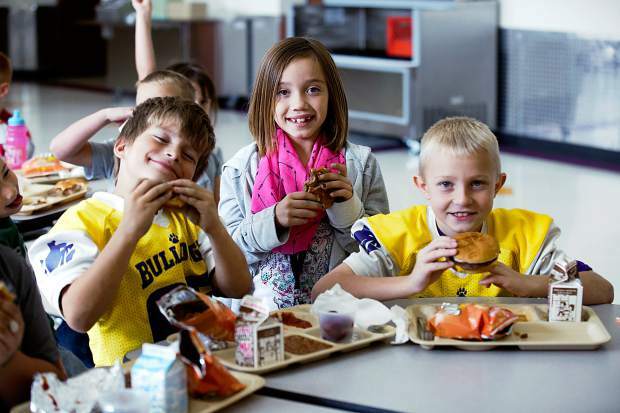 Currently Melody Benjamin, vice president of membership services of the Nebraska Cattlemen says three to four more affiliate groups are planning programs to help integrate locally grown beef into local school lunch menus. In this time of giving, many Nebraska Cattle producers have proven their giving attitude while educating youth and providing them quality locally grown beef for a super school lunch. Rush is a professor emeritus for the University of Nebraska.